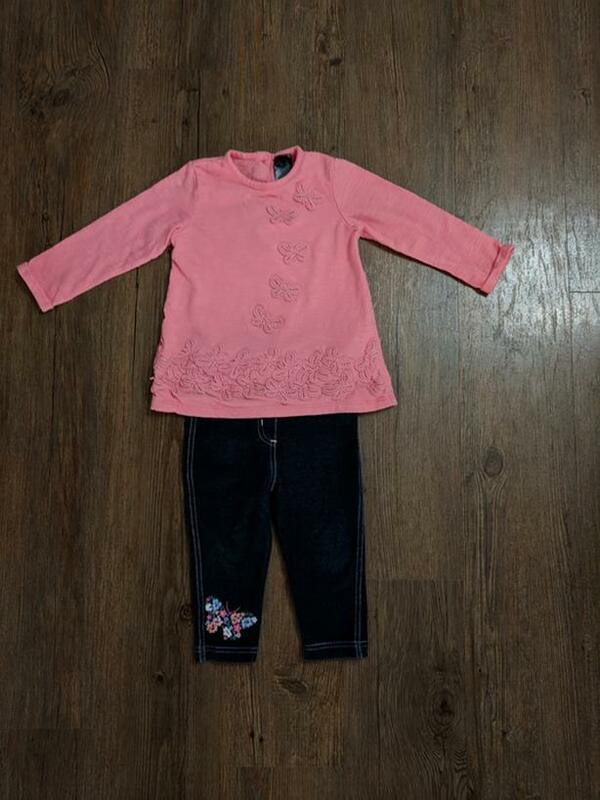 EUC - 12-18m, 2-piece outfit, long-sleeved coral coloured top with embroidered butterflies & soft "brushed" texture, thick jeggings with floral butterfly shape embroidery on the leg. Front of shirt is lined and there are 3-buttons on the back. No stains or holes. Washed in scent-free, dye-free detergent. Easy pick-up near Wilkinson and Interurban area.